Role of WEP: WEP provided (well) engineering expertise and management during testing. WEP is a shareholder of HWT. 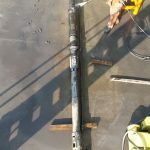 Huisman Well Technology developed the Enhanced Casing Installation (ECI) technology and successfully tested the system in the Czech Republic on a Huisman LOC400 casing drilling installation. 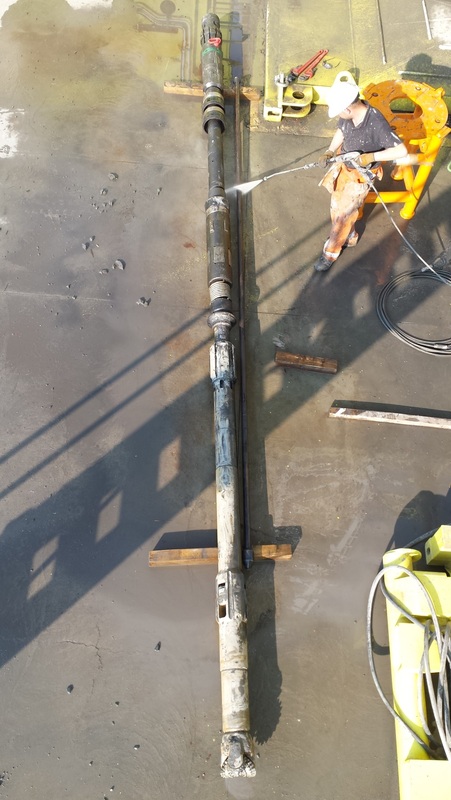 ECI is an innovative retrievable casing installation system that allows (directional) drilling and installing casing simultaneously while keeping the freedom to change BHA components mid-section if needed or at TD with a minimum of pipe handling involved. The ECI system offers a unique see-through shoetrack section that allows logging tools (M&LWD) to remain inside the casing while still being able to make measurements. Compared to existing Casing While Drilling technology this enables a minimum stick out below the casing and keeps the bit to reamer distance close. This in turn results in improved stabilization of the assembly and optimum drilling performance. 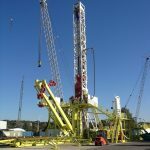 Often in drilling operations considerable time is spent on reaming, clean out runs and trips to condition the hole prior tunning the casing. ECI minimizes the time that the hole stays open as it is cased off immediately after it was drilled. ECI allows the operator to be in control by eliminating many possibly NPT causes. Even without hole problems ECI allows for a better drilling performance due to reduced flat times between sections and safer operation because no unnecessary handling occurs . 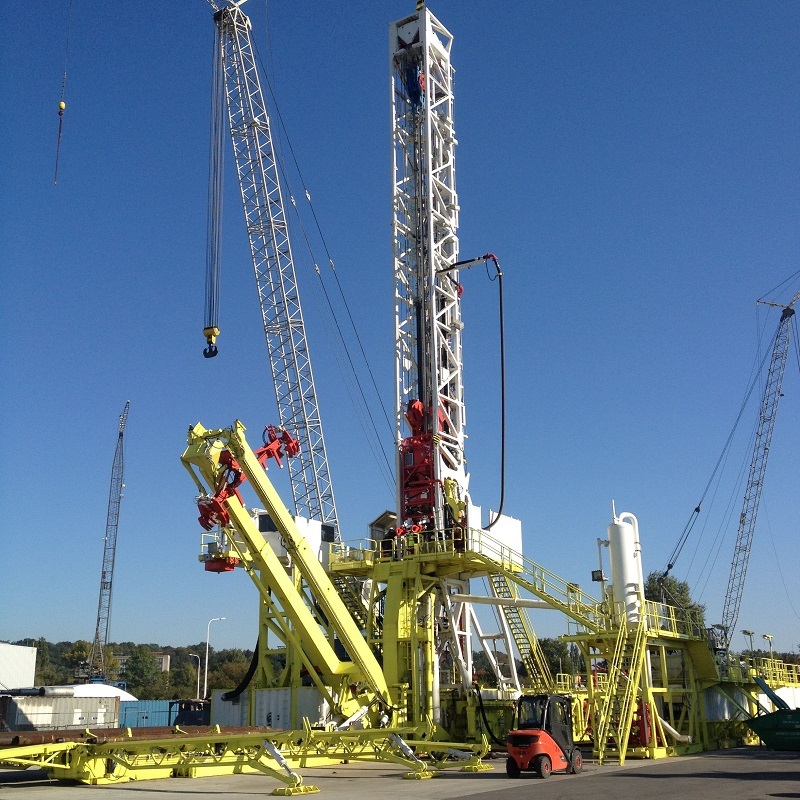 The system is designed to be integrated in the Huisman LOC400 drilling rig, but can be applied in combination with any rig type or drilling situation and can be used with any choice of third-party BHA equipment. ECI allows full flexibility and optimum control over the drilling process: more drilling and less flat time. Hier wordt geïnvesteerd in uw toekomst. Dit project is mede mogelijk gemaakt met steun van het Europees Fonds voor regionale Ontwikkeling van de Europese Unie. Well Engineering Partners (WEP) B.V.